Environmental field studies help bring classroom studies to life. It’s why we’ve created and structured our programs to immerse students in wildlands and among wildlife, while providing rich and rewarding academic experiences. Faculty, academic and study abroad advisors may want to review the following materials to learn more about our programs and approach. We’re inspired by wildlife and wildlands, and the transformative effect they have on people. Our programs are built on these values, and designed to provide students with exceptional learning experiences. Our programs meet the high academic standards required by our school of record, the Huxley College of the Environment at Western Washington University. Huxley provides academic oversight, reviews curricula and syllabi, and confers academic credit. Wildlands Studies programs are academically rigorous field study courses built on 280 hours of direct contact with instructors. 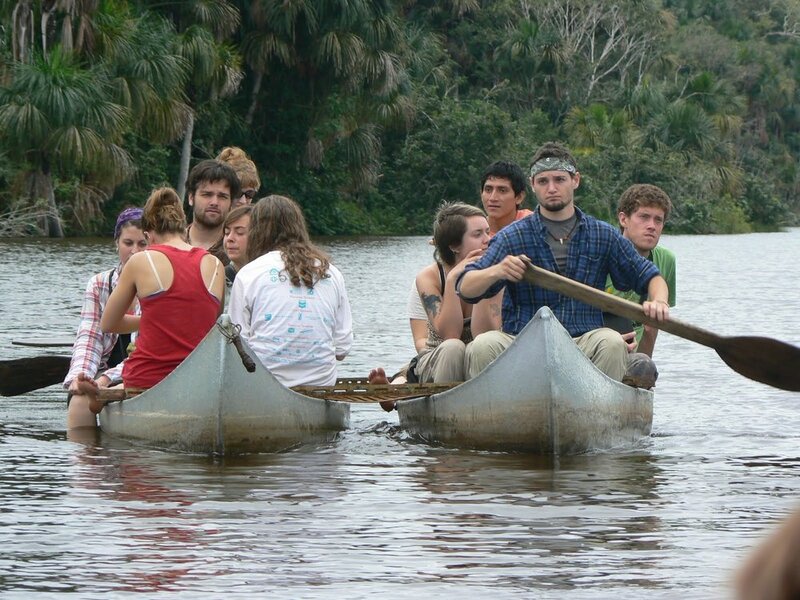 They are taught at an upper division university level as an introduction to environmental studies and sciences. Our programs are based in the field, balancing time for reflection and immersion with rigorous academics. Student success is a result of daily, active participation in the program’s living and learning community, an open inquiring mind and thoughtful attention to formal assignments. Our faculty hold either a PhD or MS, and both author and lead our field projects. The programs they lead are dynamic too, evolving to keep apace of changes in data and relevant science. Faculty hail from around the world and are subject matter experts in the topics they teach. They share a concern about the impact of development and growth on the natural world. Our programs are designed to be hands on, immersive learning experiences. Students study and also help conduct research; they study field manuals, environmental impact assessments and planning documents, and also consume published research, case studies and government research. Wildlands Studies projects combine university instruction that takes place in the field, not a classroom, with active engagement with wildlands, wildlife, native cultures and indigenous people. to explore on their own. Enrollment, admissions and planning support. Our admissions team is here to help. We will guide your students from the “great idea, tell me more” phase to when their hiking boots hit the ground, helping match their interests to programs and locations. We’re also ready to help with expert information about planning and preparations, equipment, vaccinations and packing. Health and risk management are our top priority. We’re very serious about managing and mitigating risk. Our approach to managing risk is built in to each program, not added on. Each Wildlands Studies program has a tailored, structured risk management plan that can adapt to changes in the natural and political environment. Students are instructed in general risk management protocols and also skills specific to their program and location. We also want students to play an active role in individual and group risk management, learning to identify and manage potential risks before they happen. This approach has helped us provide great experiences for students while minimizing the chances of injury and illness. Contact us to get the latest updates on our academics, program details or if you have questions not addressed on this site. We visit students throughout North America, throughout the year. If you’d like us to pay a visit to your campus, please contact us to discuss details and schedule a time. Our campus coordinator is standing by to answer your questions or provide you with the information you or your students need. Please contact us to schedule a time to talk. More information for advisors and faculty.